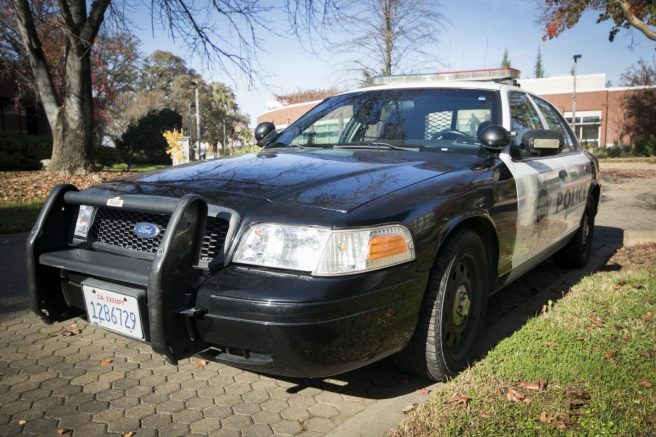 American River College was placed on lockdown by the Los Rios Police Department after reports of a man on campus with a gun at approximately 7 p.m. on Wednesday evening. According to Sergeant J. Lampano of the LRPD, there were reported sightings of a man riding a bicycle displaying a firearm near the Science Department at ARC. The man was able to flee the scene before LRPD was able to respond, according to Lampano. “At approximately 7 p.m., Los Rios Police received a report from an ARC student of a man tucking a gun into his waistband near bike racks in the science area on campus. The student reported that the suspect got on a bike and rode off campus towards Myrtle Avenue. Los Rios Police immediately responded and the science area was placed on lockdown as a precautionary measure. Los Rios Police requested assistance from the Sacramento Sheriff’s department in a search. A search of the area did not find any trace of the suspect. As there was no further threat to the campus, the all clear was given and the science lockdown was lifted. Students received a Rave Alert text and email at 6:58 p.m. The original Rave alert did not list what location students should stay away from, but it was later updated at 7:13 p.m. to say that the Science Department should be avoided. Students already on campus were placed on an emergency lockdown that was lifted at 7:24 p.m.
Alexis Warren, a Current staff writer, was in her statistics class when the lockdown happened. According to Warren, her professor, Sonya Reichel locked the doors and another student shut the blinds. As it happened, Warren messaged classmates to update them on the situation. “I’m in class right now and my professor says we can’t leave until it’s clear,” Warren said in a text message to her classmates. ARC Public Information Officer Scott Crow said that the campus was given the “all-clear” by the LRPD after they were unable to locate the suspect. According to Lampano, there were no arrests made at the time of this report. “Nobody matching the suspect’s description was arrested,” Crow said. Lampano also added that there were no video cameras in the vicinity of the sighting. This incident comes on the same day of a shooting at a Florida high school that left 17 people dead. The LRPD are urging people to report any suspicious activity they might have seen related to the incident at (916) 558-2221 and to refer to report #18-0085. 9:28 p.m. Article was updated to reflect the content of the original Rave alert. 9:34 p.m. Article was updated to add information sent out by the Los Rios Police Department in a campus-wide email. Be the first to comment on "Breaking News: Reports of a man with a gun on campus prompt school-wide lockdown"